Ben Ling is back with one of his minimalistic concepts, that involves making a follow-up for an already existing Xperia phone. The modifications are minor in this case, as far as the Sony Xperia U 2 is concerned. We’re dealing with a dual core 1.2 GHz phone, with a 3.7 inch display that’s scratch resistant. Xperia U 2 has a 5 megapixel camera with LED flash, a front 1.3MP shooter and the main cam does both 720p video capture and 8x digital zoom. The device measures 12.5mm in thickness, weighs 119 grams and its specs list includes Android 4.0, 512MB of RAM, while the CPU is of the Cortex A9 kind. This model has 12GB of internal storage, 291 ppi pixel density, xLOUD audio and Sony Mobile Bravia Engine technology. Other specs include Bluetooth 4.0, multitouch for up to 8 fingers and a Li-Ion 1500 mAh battery. 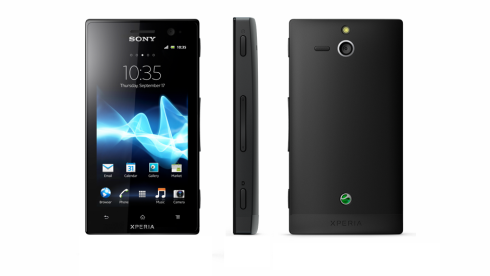 The design follows the usual Xperia styling of 2012, with a rectangular form factor, matte back area and the majority of buttons on one of the sides. Also there are 3 capacitive buttons below the display. I’m not that impressed frankly!